These five players are wasting away on bad teams. Will a contender save them this summer? "The Point Forward All-Stars" will have a new theme each week centered on a single shared trait that brings together the team members. This week: five players stuck on likely lottery teams who should seek greener pastures during the summer free agency period. The NBA trade deadline was particularly wild this year, thanks in large part to teams looking to preemptively trade players who would have been expensive to re-sign or difficult to retain this summer. But many of the biggest deals also fell into the annual tradition of contenders stocking up for the playoffs—fine-tuning their rotations, improving their versatility or simply deepening their benches—by raiding the rosters of also-rans. The list of talent that flowed uphill to playoff teams during the 2014-15 season—whether by a trade, multiple trades, buyout, waiving, or otherwise—is a long one indeed: Arron Afflalo and Alonzo Gee (Denver to Portland), Josh Smith (Detroit to Houston), Corey Brewer (Minnesota to Houston), Enes Kanter (Utah to Oklahoma City), Kyle Singler and D.J. Augustin (Detroit to Oklahoma City), Timofey Mozgov (Denver to Cleveland), J.R. Smith and Iman Shumpert (New York to Cleveland), Pablo Prigioni (New York to Houston), K.J. McDaniels (Philadelphia to Houston) and Amar'e Stoudemire (New York to Dallas), among others. Although it's a bit of a technicality, Goran and Zoran Dragic (Phoenix to Miami) now find themselves on a likely playoff team rather than headed to the lottery, as does Miles Plumlee (Phoenix to Milwaukee). Then, if you include Boston—the NBA's eBay as they have acted as buyer, seller, and trade broker this season—the list gets even longer. Somehow, the Celtics are currently in the East's playoff picture despite trading Jeff Green (to Memphis), Rajon Rondo (to Dallas), Brandan Wright (to Phoenix) and Austin Rivers (to the Clippers) to teams with better records. Boston also acquired Isaiah Thomas (from Phoenix), which could wind up giving the diminutive scoring guard a shot at the playoffs. Long story short: the rich got richer at the deadline, as they usually do. Contenders rolled the dice on short-term fixes knowing that many of the players listed will be free agents this summer. But what about the guys who didn't get a new lease on life? What about the veterans who remain stuck on lottery-bound teams? Last year, SI.com dubbed these guys The All-Lifeline Team. The following is the second annual edition, listing five pending free agents who are playing out the string on likely lottery-bound teams and are in need of saving by more established squads next season. When SI.com checked in with Lin back in October, L.A.'s new point guard sounded very much like a guy trying to make the most of an uncertain situation. He had just been named the Lakers' starting point guard, but he wasn't sure how long that would last. He heard the news from the media rather than directly from coach Byron Scott, and it still wasn't totally clear how he would coexist with Kobe Bryant, the Lakers' alpha and omega. Lin lasted as the starter until early December, when he was replaced by veteran Ronnie Price. More recently, promising rookie Jordan Clarkson has stepped into the starting role for the Lakers, a sensible developmental call for a floundering team that lost Bryant to injury. Along the way, the Scott/Lin marriage has seemed less than ideal, with the coach publicly calling for better decision-making and looking for more consistency. One wonders whether the long slog of a Lakers season that was dead on arrival, and somehow got more depressing as it unfolded, will shape Lin's priorities this summer. In the past, the implication was that he wanted to start and have the opportunity to run his own show, after playing second fiddle to Carmelo Anthony in New York and then James Harden in Houston. 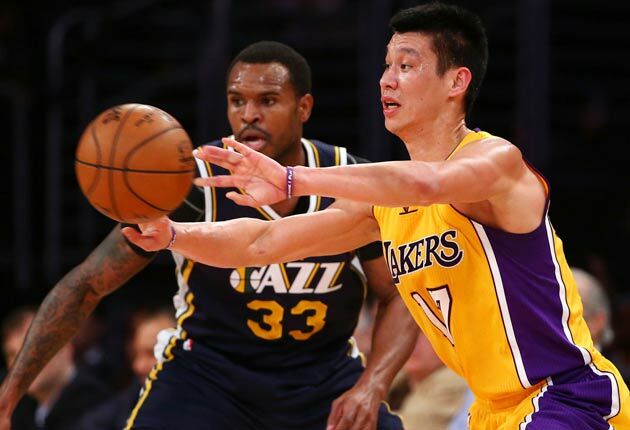 The Lakers will remain Bryant's next season, a fact that should weigh heavily in Lin's thinking. This year, the Lin/Bryant combination posted a net rating of -13.6 and an atrocious defensive rating of 115.6 in 663 minutes together. That's unsalvageable, and Lin, who will be an unrestricted free agent this summer, would do well to explore all of his other options before subjecting himself to another year of guaranteed frustration. Plus, even when Bryant went down the Lakers weren't really willing to turn things over to Lin. Despite L.A.'s 18-51 record, Lin has played his fewest minutes per game since his rookie season with Golden State, averaging 11.2 points and 4.7 assists while shooting 43.5 percent overall. If one of the league's worst teams isn't willing to give him the car keys after its star goes down, might it be time for a reevaluation? What's a truly more desirable life in the NBA: as a sometimes-starter on a terrible team or as a solidified third-guard for a team going places? Tellingly, he wasn't included by NBA personnel on a recent ESPN.com survey of the league's top 30 point guards. Asked recently about Lin's future, Scott told reporters: "It’s just a matter of what happens in the draft and everything else that kind of determines what we’re going to do in the free agent market.” That sounds like a polite way of saying that Lin isn't the franchise's top priority. And, frankly, he shouldn't be. The Lakers need to be swinging for the fences, both in the lottery and free agency, and Lin's ceiling has settled on "serviceable" rather than the spectacular destiny that Linsanity briefly promised. Playing in L.A. offers Lin a huge stage, but exposure and visibility seem like they should be pretty far down the totem pole when it comes to his next landing spot. What, really, do the Lakers have to offer Lin? Facing rumors of locker-room issues and public discontent, Suns GM Ryan McDonough veered hard at the deadline, shipping out Dragic and Thomas while acquiring Brandon Knight, Phoenix's presumptive point guard of the future. The moves provided better positional definition going forward while also signaling that Phoenix was more concerned about its long-term planning than making the 2015 playoffs. 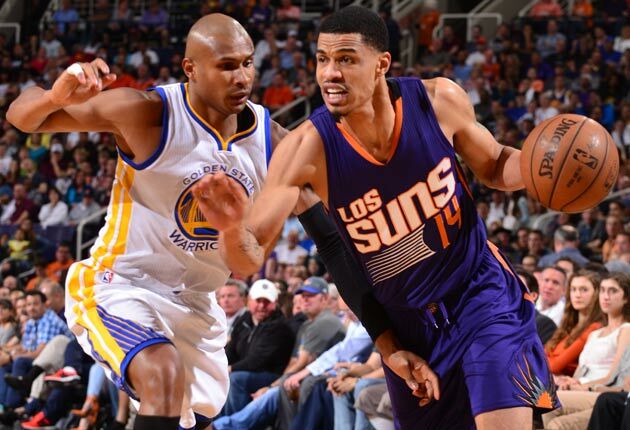 As Phoenix changed course at the deadline, Green has found himself left behind. The high-flying, quick-triggering 6-foot-8 reserve wing is playing just 15.4 minutes per game since the All-Star break, down from 20.5 before the break. What's more, he's accumulated a number of recent DNP-CDs, even with plenty of rotation minutes available due to Knight's ankle injury. Suns coach Jeff Hornacek has opted to play P.J. Tucker, who was signed to a three-year contract last summer, and 20-year-old prospect Archie Goodwin rather than Green, who will be an unrestricted free agent this summer. Given that Phoenix hasn't yet officially been eliminated from the West's playoff chase, it's hard not to read between the lines and conclude that Green isn't a central part of the team's future. ​Green, 29, hasn't had the contract season he would have wanted after a breakout 2013-14 season saw him average a career-high 15.8 points and shoot a career-best 40 percent from deep. This year, Green's scoring and shooting numbers are down (11.5 points, 34.4 percent from deep), a major problem for an unapolgetic gunner, and his 106.6 defensive rating is the worst among Suns who have logged at least 100 minutes. Only a dozen NBA players have a usage rate higher than Green's (27.7), and the vast majority of those players are perennial All-Stars. In related news, Hornacek has alluded to the need for better shot selection from Green. The Suns did well to pluck Green from the Pacers in 2013, but it's understandable that Green might become a casualty of Phoenix's roster crunch and desire to pivot. Still, it's hard not to look at his career-year numbers from last season and think someone should give him another chance. That year, he joined Stephen Curry and Klay Thompson as the only players to hit 40 percent of their three-pointers on at least six attempts per game (minimum: 25 games). Even if he can't get back to those heights, surely there are a few contenders who can find some room on their bench for Green's pop. Sorry, Thaddeus, I know this will be unwelcome news, but we're tearing down our entire roster, so this could be a tough season with the Sixers. Good news, Thaddeus, we decided to trade you. Sorry, Thaddeus, we're trading you to the Timberwolves, where basically everyone is 14 years old or injured. Sorry, Thaddeus, we're trading you to the Nets, where basically everyone is depressed or depressing. Great news, Thaddeus! You have a player option this summer! You hold your future in your own hands! Roads don't get much rockier than what the 6-foot-8 Young has seen over the last two seasons. This stat might cause loss of vision: Young's teams are a combined 36-108 (.250) since the start of 2013-14. 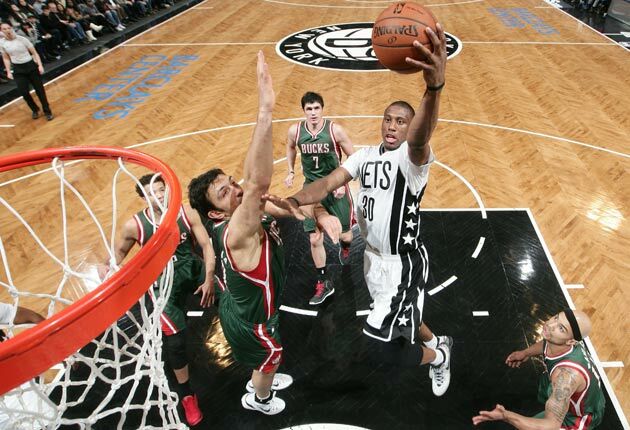 Sure, Brooklyn is a little better off than Minnesota, as it's just 1.5 games back of the East's No. 8 seed, but the huge money owed to Deron Williams and Joe Johnson seriously cripples the franchise's outlook. Plus, there are those pesky, persistent reports that the franchise might be up for sale. ​​The Bergen Record has reported that the Nets are interested in retaining Young and that the 26-year-old power forward said the "feeling is mutual." All those months of suffering, though, should pay off in the form of leverage. Brooklyn's cupboards are incredibly bare when it comes to up-and-coming talent and it has traded away numerous future draft picks. Re-signing Young, or somehow convincing him to pick up his $9.7 million option for next year, would give GM Billy King something resembling a building block, even if Young is more of a dependable complementary piece than a cornerstone. The early returns on the Brook Lopez/Young combination show some signs of life—they've posted a +3.7 net rating and a 107.8 offensive rating in 347 minutes together—even if the midseason move to acquire Young hasn't led to a corresponding push up the standings. Although nothing about Young's modest production—14.1 points, 5.1 rebounds, 2.4 assists, 46.2 percent shooting, 15.6 PER—screams huge salary increase, he does appear to be the type of second or third tier free agent who could benefit from teams proactively looking to acquire talent this summer before the new salary cap era hits in 2016. As he weighs his options, Young might considering ex-Nets like Shaun Livingston (now with the Warriors) and Paul Pierce (now with the Wizards) to find out how wonderful a post-Brooklyn life can be. New York's much-maligned big man fills the "Charlie Villanueva Memorial" spot on this year's All-Lifeline Team. Last year, Villanueva's career looked dead in the water after five miserable seasons on a big-dollar deal in Detroit. This year, Villanueva has filled limited minutes in Dallas on a veteran's minimum deal; he's not exactly setting the world on fire (6.2 points, 2.3 rebounds), but at least he's knocking down his threes at a decent clip (37.4 percent) and playing meaningful minutes for the first time in years. The same thinking that landed Villanueva a spot on last year's All-Lifeline Team finds Bargnani included here. No matter how you slice it, Bargnani is just a disaster. Even on a pathetic Knicks roster largely devoid of NBA players, Bargnani distinguishes himself with a -15.1 net rating, better only than Cole Aldrich among New York's rotation guys. In case you are wondering if that's an aberration, Bargnani posted a -6.2 net rating in 2013-14 (among New York's worst) and a -5.8 net rating in 2012-13 (among Toronto's worst). In other words, teams have been getting rocked when they put Bargnani on the court for three straight seasons. ​There's also the little matter of Bargnani's supposed floor-stretching ability. When he was acquired by New York from Toronto in 2013, in one of the worst trades in recent memory, the idea at least in part was to use the 7-footer as a stretch option. That didn't quite work out, as Bargnani shot just 27.8 percent from deep last season and has barely stepped outside the arc this year. The crucial fact here is that this summer should represent the first time that Bargnani's special brand of basketball no longer comes at a cap-crippling number. A no-defense, "floor-stretching" big who can't actually stretch the floor and brings questions about his motivation is the definition of toxic when he comes at an $11.5 million price tag. But what happens when the other shoe of the guaranteed multi-year contract drops and he's suddenly looking at a steep, steep, steep pay cut? 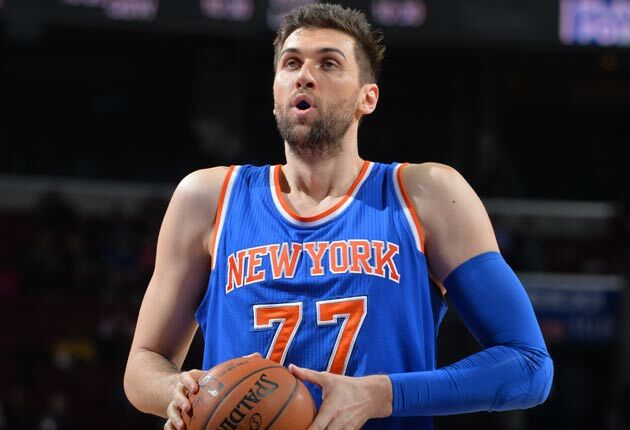 Bargnani clearly needs to be on a roster with a legit rim-protector, something he is unlikely to find with the rebuilding Knicks next season. After years of abuse in Toronto and the unfulfilled expectations in New York, he might be better off laying low on a team that has an established identity and can fit him into a niche role. Should anyone bother to take a flier? Some would strongly argue "no," but his post All-Star numbers (16.5 points, 4.5 rebounds, 46.3 percent shooting) might be intriguing to the gamblers out there, even if they are dubious by definition thanks to tank-related inflation. Big men always carry a premium price, and as such the pickings are pretty slim when it comes to scavenging for cost-effective reserves to fill out a frontline. One intriguing change-of-scenery candidate is O'Quinn, a 2012 second-round pick known for his physicality, unselfishness, passing ability, intelligence and an adequate mid-range game. 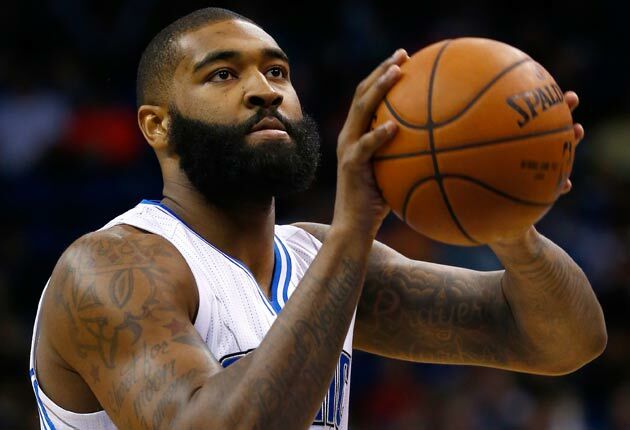 The 6-foot-10 forward/center is averaging 12.8 points and 8.6 rebounds per 36 minutes this season, but he's been a cast-off recently with the Magic firing coach Jacque Vaughn in February and interim coach James Borrego turning over some playing time to 7-footer Dewayne Dedmon, a midseason addition. O'Quinn recently told the Orlando Sentinel that his demotion has been "tough." How have recent March Madness champions fared in the NBA? ​The writing just seems like it's on the wall here: O'Quinn, 25, is headed for restricted free agency this summer, but he's battling with the likes of Nikola Vucevic (already inked to a long-term extension), Channing Frye (signed to a multi-year deal last summer), Aaron Gordon (a 2014 lottery pick), and Andrew Nicholson (a 2012 first-round pick), among others, for playing time. Orlando has struggled to make progress this season—ranking in the bottom five in both offense and defense—and O'Quinn looks to be an afterthought for a team that needs to develop its young backcourt and make a big free-agency decision on Tobias Harris. O'Quinn is easy to underestimate: he plays for an oft-overlooked Magic team mired in a rough rebuilding effort, he doesn't shoot threes like so many other young bigs, and he doesn't possess a rim-protector's prototypical physique. Nevertheless, he's a skilled, no-nonsense, team-first type who has the potential to be a contributor on both ends at his next stop.